Multiplex has reached a major milestone on ICD Property’s Eq. Tower, “topping out” the 63-level residential apartment building. Designed by Elenberg Fraser, Eq. 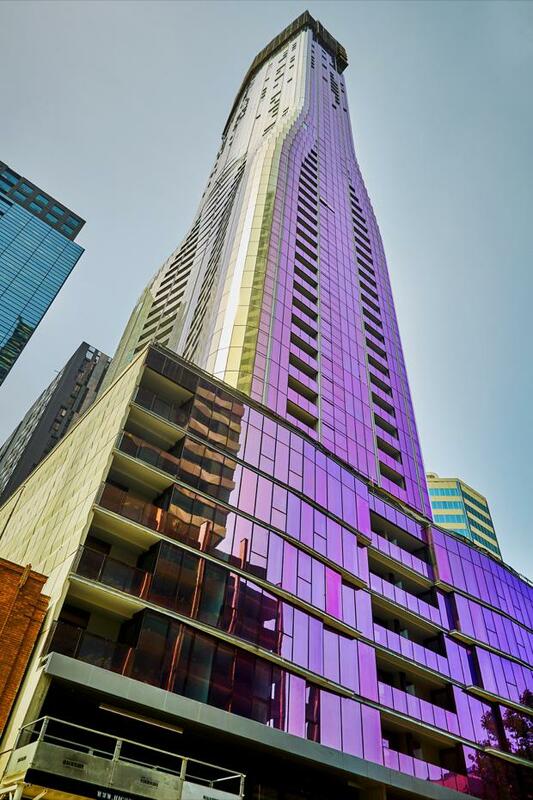 Tower is located at 127-141 A'Beckett Street in Melbourne’s CBD and comprises a total of 633 apartments in one, two and three bedroom configurations. The complex's residential facilities includes a 25-metre outdoor swimming pool and BBQ area, indoor gym, sauna, spa, private dining rooms, karaoke suites, cinema, games room and lounges. 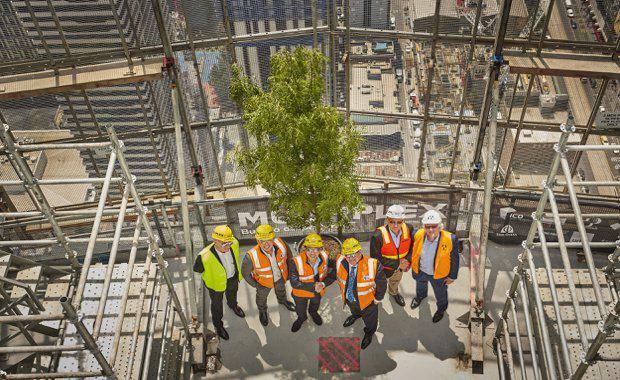 “Our vast experience in the residential sector and working in busy CBD environments has equipped us to maintain high construction standards throughout the project to date,” Brookfield Multiplex Regional Managing Director Graham Cottam said. Complexities faced during construction have included the building changing shape between levels 24 and 36, harsh weather conditions that come with constructing a tower at above 200 metres, as well as building damper tanks on the roof to counterbalance building sway. Eq. Tower’s design also includes a range of ESD features such as photovoltaic solar panels, rainwater harvesting and re-use, water efficient fixtures and appliances and high performance double glazing used throughout. ICD Managing Director Michael Mai believes that Eq. Tower embodies ICD Property’s overarching objective to influence and improve high-rise apartment developments in the city. “Eq. Tower has been an unequivocal achievement for ICD Property. We secured a planning permit from Minister’s office in record time and the development went on to become one of Melbourne’s fastest selling residential projects, with 80% of residences sold within two months,” said Mr Mai. “Eq. Tower powerfully communicates ICD Property’s core values of innovation, collaboration, passion and consideration. Over 300 people are currently working on site and construction is scheduled to be completed in June, 2017.